We welcome visits from groups throughout the season by appointment. 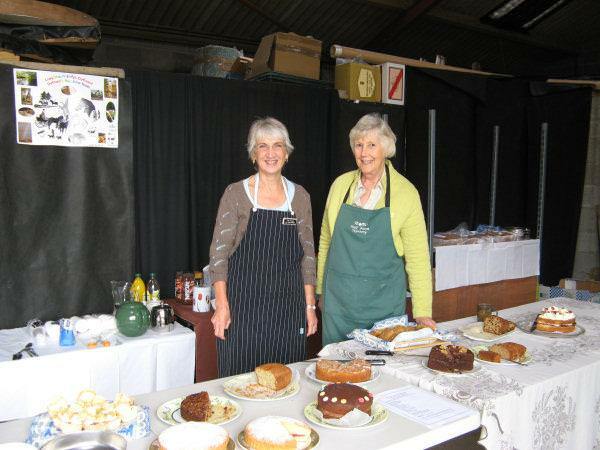 We welcome visits from Gardening Clubs, Plant Societies as well as Ladies Clubs and other groups. Maybe you have a group of gardening friends who would like to meet at the nursery and maybe enjoy some refreshments too. We have an attractive and well maintained nursery where visitors will be warmly welcomed can then wander around looking at the wide range of garden plants displayed in pots and borders and sales areas. Plants are all well labelled and there are places to sit & enjoy the relaxed atmosphere. Group visit prices are available on request. You can be sure of a warm welcome and an enjoyable visit. Please feel free to ask for any other details you require. We look forward to meeting your group. I would like to thank you on behalf of all the members and friends who attended our visit yesterday evening. It was so enjoyable to hear your informative talk and look around the nursery. Your talk was brilliant and covered absolutely everything i'd wanted it to. Because you had so many plants to share/show, the children were engaged from start to finish. Hopefully one or two of them might go into a gardening career in the future. They are writing a recount of the trip and so far have planned what they want to say. They remembered lots of detail. When we have some finished pieces, I will send them over to you, or drop them off. The other staff were also very complimentary about the whole morning. Thank you so much, your time was very much appreciated. Firstly I would like to thank you for you your kind hospitality yesterday and the wonderful talk you gave. Everyone enjoyed it and the nursery, as you saw with the amount of plants that went home in the coach! We all enjoyed your informative talk, and loved all your displays etc and the plants for sale. Thank you also for the refreshments which were very timely as some of us were wilting in the heat (especially me!) by then. Thanks once again and I expect some of us will return in the near future! Sorry for the delay but I write now on behalf of the Biggleswade Gardening Club to thank you for our lovely afternoon at your nursery. Everyone enjoyed it, and the teas, and as you know, many plants filled our coach when we left. You have a pleasant spot there for a nursery and I'm sure that some of us would re-visit should we ever be in your area. Thanks again for your part in a successful visit toShropshirefor our Club. On behalf of our Gardening Club thank you so much for a lovely evening last night. Everyone I have spoken to enjoyed it so much - your talk, the plants and also the lovely weather. Thank you so much for a wonderful afternoon on Monday - even if some members of the group were not seed-sowers they still found your demonstration interesting. It was such a treat to be able to enjoy your lovely refreshments in the sunshine and to wander round choosing which plants to buy. We all value your advice when deciding which plant is suitable for our conditions - I think everything I've bought from you is thriving. Looking forward to seeing you or Nick at Plant Hunters Fairs or on another visit to your superb nursery. I would like to thank you for the wonderful talk you gave us at your nursery. We all thoroughly enjoyed the morning and found the event both informative and interesting. The homemade cake was, if you pardon the expression, the icing on the cake of a very successful trip. We also greatly appreciate the lengths you went to in accomodating us on the date we requested and would certainly like to hear another talk by you in the future. Thank you all very much for an enjoyable evening (lovely weather too!) The caraway seed cake was delicious. Thank you very much for a most enjoyable evening at Hall Farm Nursery. Your talk was informative and amusing and we were all very impressed with the range and quality of your plants. The homemade cakes were especially good and made us forget the weather!! Thanks again to you, your Mum (she makes the most delicious scones) and the rest of the team. Despite the cold outside we were given a warm welcome, lots of lovely tea, coffee and cakes and a very interesting talk. Our grateful thanks to Christine, Nick and their team for a memorable evening. What lovely people. Our visit came just as they were in the throes of preparing for a show so we appreciate their willingness to accomodate us. Many thanks for a lovely afternoon on Sunday when Upton Magna Garden Club descended on you. They say a busy person always finds the time to do that bit more for the community and you certainly do. You did us proud - even had sunshine for the event. Your talk was both interesting and informative. Everyone was most impressed with the nursery itself and will no doubt be recommending it to friends. The home made cakes were also much appreciated. We wish you well for your ventures with the Riding for the Disabled and next year's Chelsea Flower Show entry in conjunction with that organisation. were refreshed by the drinks and on a beautiful warm summer evening we sat about and relaxed and soaked up the pleasant atmosphere. You were very kind and helpful and all too soon we took our leave, armed with plants being taken on their way to new situations in the gardens of our members. Thank you for such an enjoyable and informative evening.